Gene duplication and divergence are important evolutionary processes. It has been suggested that a whole genome duplication (WGD) event occurred in the Gramineae, predating its divergence, and a second WGD occurred in maize during its evolution. In this study we compared the fate of the genes involved in the core pathway of starch biosynthesis following the ancient and second WGDs in maize and rice. In total, thirty starch synthesis genes were detected in the maize genome, which covered all the starch synthesis gene families encoded by 27 genes in rice. 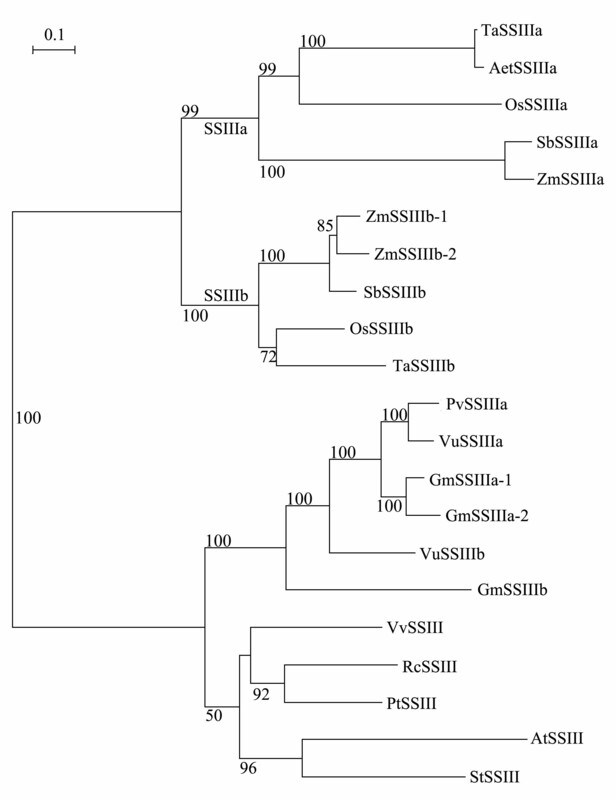 All of these genes, except ZmGBSSIIb and ZmBEIII, are anchored within large-scale synteny blocks of rice and maize chromosomes. 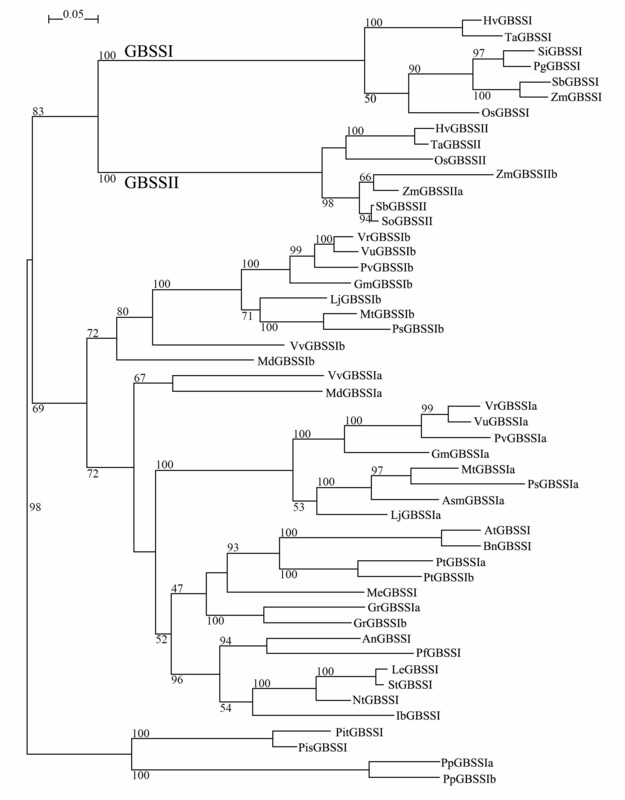 Previous findings and our results indicate that two of the current copies of many starch synthesis genes (including AGPL, AGPS, GBSS, SSII, SSIII, and BEII) probably arose from the ancient WGD in the Gramineae and are still present in the maize and rice genome. Furthermore, two copies of at least six genes (AGPS1, SSIIb, SSIIIb, GBSSII, BEI, and ISA3) appear to have been retained in the maize genome after its second WGD, although complete coding regions were only detected among the duplicate sets of AGPS1, SSIIb, and SSIIIb. The expression patterns of the remaining duplicate sets of starch synthesis genes (AGPL1/2, AGPS1/2, SSIIa/b, SSIIIa/b, GBSSI/II, and BEIIa/b) differ in their expression and could be classified into two groups in maize. The first group is mainly expressed in the endosperm, whereas the second is expressed in other organs and the early endosperm development. 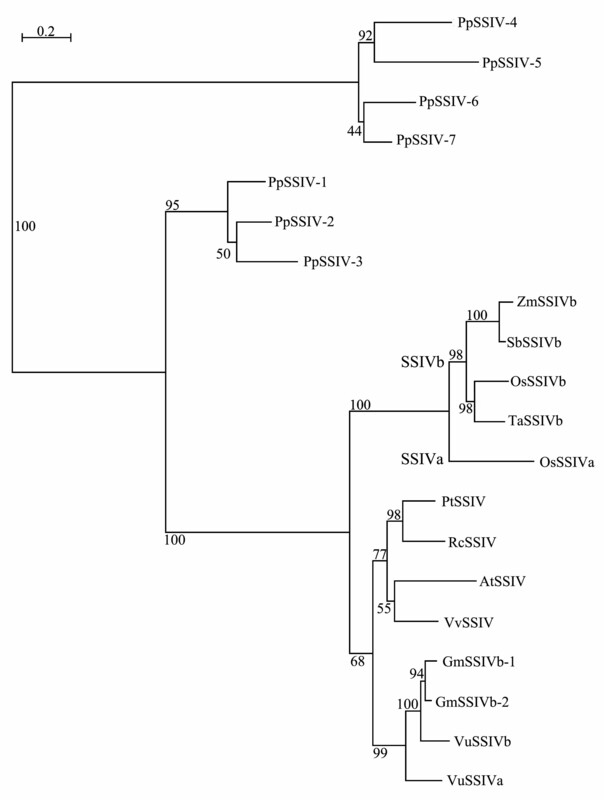 The four duplicate sets of ZmGBSSII, ZmSSIIb, ZmSSIIIb and AGPS1, which arose from the second WGD diverged in gene structure and/or expression patterns in maize. 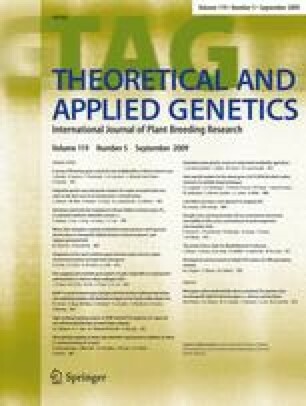 These results indicated that some duplicated starch synthesis genes were remained, whereas others diverged in gene structure and/or expression pattern in maize. For most of the duplicated genes, one of the copies has disappeared in the maize genome after the WGD and the subsequent “diploidization”. The online version of this article (doi: 10.1007/s00122-009-1091-5) contains supplementary material, which is available to authorized users. This research was supported by the Key Innovation Program of the Chinese Academy of Sciences (KSCX2-YW-G-027-3), the CAS ‘100 Talents’ program and the CAS/SAFEA International Partnership Program for Creative Research Teams.